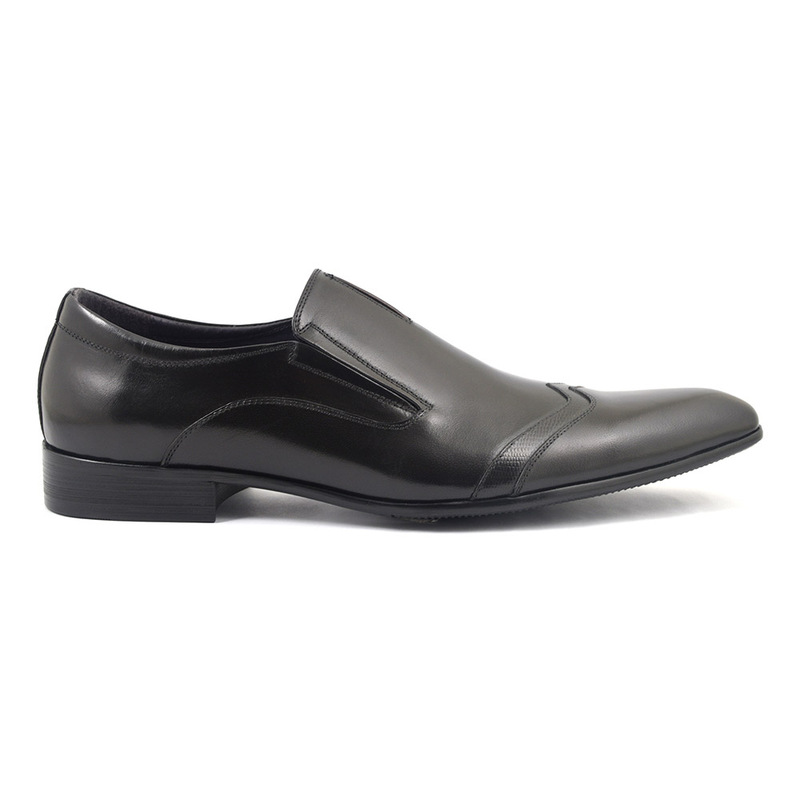 A formal style office shoe with elongated toe. There is a touch of brogue in the wing tip to the the vamp. A solid style for those business moments. 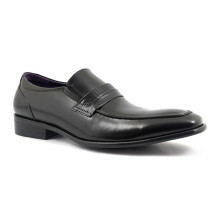 Simple black formal slip-on shoes like these are a must have in any man’s wardrobe. They are a simple style with a longer toe finished off with a subtle beak style. There is a hint of brogue to the vamp with a wing tip design and a really subtle touch to the neck of the shoe with a dark brown leather. A rather elegant looking office shoe which will make your silhouette streamlined, particularly if you go for a slim fit suit. The side gussets allow for easy removal yet simple lines. No faffing with laces which at the end of a long day (or night) is priceless. 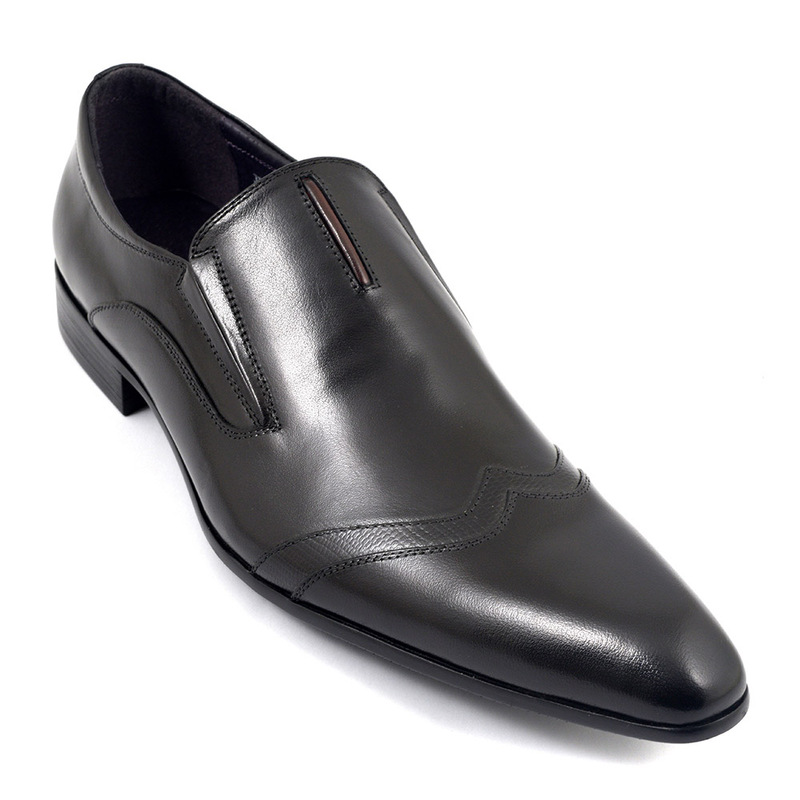 Having said that, we feel at Gucinari we offer men affordable luxury and these black slip-on formal shoes offer just that. This task is easier than lace ups as the surface area is uncluttered. We always start by encouraging you to spray your shoes with protector as this will help them last longer and withstand weather. Wipe off any dust with a shammy style cloth and then polish the leather with the same colour as the shoe. Take your time if you can and use circular motions. Once done, buff them and insert them into unfinished cedar shoe tree. We feel they are worth the investment as they maintain the shape nicely as well as keeping the smells at bay! 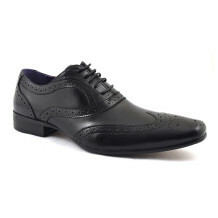 Use a shoe horn when putting the shoes on and your black slip-on formal shoes will have you looking the business. Be the first to review “Gudo Black Slip-on” Click here to cancel reply.